Collapse of Meethotamulla garbage mount two months ago was not only a disaster by itself, but also a harbinger of many more misfortunes to come. Two months down the line as the clamour over it subsided, a new issue of garbage has begun sending shock waves across the political spectrum – this time it’s over the inability of the authorities to ensure efficient garbage collection in Colombo and some parts of its suburbs. While the government is trying hard to resolve the issue, the situation has become worse with high incidence of dengue which now has taken epidemic proportions resulting in many deaths and severe shortage of hospital beds. Accumulation of garbage in various points in the city is not due to any collection or transport issue, but because of the lack of a place to dump them even temporarily. With outbreak of dengue there is stiff public protest against dumping garbage close to residential areas. Promises by politicians to recycle such garbage within a short period are no longer acceptable to people mainly because authorities have failed to keep to their promises in the past. With nearly 70,000 suspected cases of dengue claiming over 100 lives during the last six months of the year, garbage collection too seems to be in the centre of the whole issue. While the government is facing this monumental problem, the issue over South Asia Institute of Technology and Medicine (SAITM) took a new turn with protesting students forcibly entering the headquarters of the health ministry on Wednesday. They occupied four floors of the building and sent the staff out totally disrupting the work and asking for a meeting with the health minister Dr. Rajitha Senaratne. This unhealthy development warranted the authorities to call in police and STF personnel to control the situation and the ensuing confrontation resulted in injuries to 96 people including six police personnel. Protesting against the assault on students the Government Medical Officers Association (GMOA) launched a strike paralyzing the work in most hospitals. 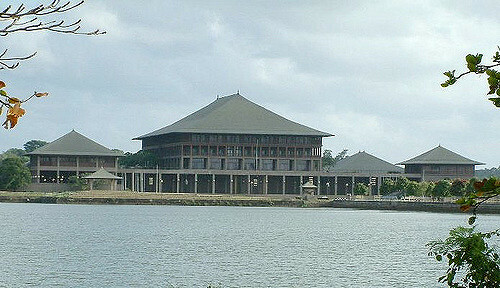 The GMOA said that decision to launch an indefinite strike was taken for two reasons, firstly for protesting against the brutal attack on university students who protested at the Health Ministry and secondly for not extending the tenure of Professor Carlo Fonseka as the Chairman of the Sri Lanka Medical Council (SLMC), a decision taken by Health Minister. Irrespective of the cause they fight for protestors have no right to disrupt the work of a government department and destroy its property. Moreover, if this kind of nonsense is tolerated it will become fashionable for any trade union to take the law into their hands and invade any state or private institution disrupting their work and such behaviour is not tolerated anywhere in the world. The GMOA or any other organization has no moral right to defend this kind of illegal action by the student protestors. For a strike by a trade union to be legal, it should be for a valid cause connected to their trade. 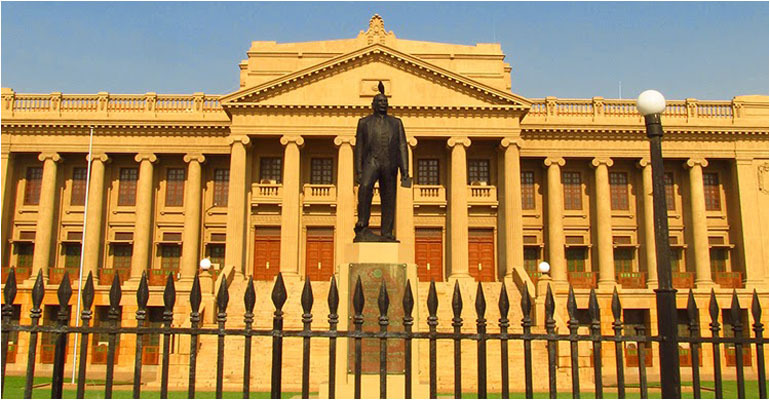 Although the SAITM issue is connected to the medical profession this particular criminal action by the students – trespass, damaging state property and obstructing the work of government servants is not connected to a trade union right. Then it has to be equally illegal to launch a strike in defence of an illegal action. The other reason the GMOA has cited for the strike action is also far beyond their lawful trade union rights. It is a lawful right of the minister of health to extend or not extend the tenure of the chairman of the SLMC after he has completed the period for which he has been appointed. Nobody has a right to force the minister to extend the tenure or to reappoint him for another term for which there is a different procedure. The sudden nature of the strike is another thing that may raise issues. The GMOA says that they had warned that there could be a strike at any time, but whether such general warning could be taken as notice for a particular strike is questionable. Ideally there has to be separate and sufficient notice before each strike. The worse aspect of the whole strike drama is its timing. All hospitals in the country both government and private are full of dengue patients and there is a severe shortage of space as well as medical personnel and on moral grounds this may be the worse time to launch such a strike. Doctors who are supposed to be members of a noble profession should be well aware of these ethical issues. If SAITM’s standards are not adequate they can be upgraded and formulating and implementing proper standards for medical education is the responsibility of the government and the SLMC. 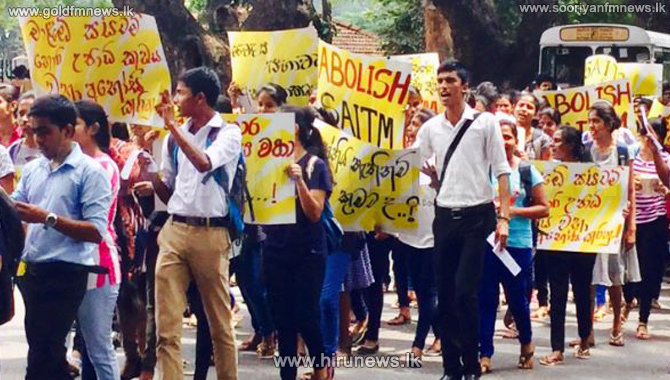 Undermining the whole idea of private medical education under the guise of protesting against SAITM should not be tolerated. Private medical education has grown extensively in many countries that were far behind Sri Lanka in overall education standards a few decades ago and the worst is that a large number of students from our country join medical schools in these countries annually resulting in a massive loss of foreign exchange to the country. Despite phenomenal growth in the private sector medical care with many modern hospitals coming up throughout the country, we are lagging far behind in private sector medical education. This happened because the first such attempt in the eighties had to be abandoned in the face of mounting student protests and no genuine effort was made to venture into this area for several years thereafter. This lacuna is quite evident when one looks at the phenomenal growth of private sector higher education in other fields including engineering. The growing demand for private sector education is quite clear from the number of international schools operating in the country at present. The SLMC is a pivotal institution in this whole exercise and it is well known that its current board headed by Prof. Carlo Fonseka has not been quite helpful in amicably resolving this matter and has refused to recognize the SAITM graduates despite Court of Appeal direction to do so. They have already appealed against the Court of Appeal order. It is natural for the GMOA to try their best to keep Prof. Carlo Fonseka in the seat so that they can continue to block the entry of SAITM graduates into the medical profession. Thus the ulterior motive behind the GMOA strike is more than clear and the government should decide whether it is going to leave the fate of the private medical education in the hands of few people in the GMOA. The sudden medical strike is yet another blow on the government which is surrounded by many issues – the SAITM issue, dengue outbreak, the garbage problem and racial tension against Muslims. Some of these are long standing issues and the failure to resolve them within a reasonable time does not augur well for the Yahapalana government in whom people placed much hope. Whatever the real difficulties may be any further delay to resolve these festering issues will result in a situation where people will lose confidence in the system while the country will increasingly become non governable. Most of the protesting students have boycotted lectures during the last several months and the increasing frustration could result in worse behaviour by these students in the future. This could provide the golden opportunity to the Inter University Students Federation and other destructive elements to enlist more full time members and expand their movements. If timely action is not taken to stem these developments this could become a worse headache for the government in the future.